To say that we’re in happy with our cozy cottage-farmhouse kitchen makeover may be the understatement of the century… we’re in love with the newly updated space! Which is in no small part due to the fact that the kitchen is our most-used room in our home, so the fact that it’s such a warm, inviting and functional space now fills our hearts and our lives with endless joy! Though we always loved hosting and entertaining friends and family in the space before, the second the update was finished and we got to settle back into it we started searching for just about any excuse possible to host guests again. It’s built for gathering, lingering, laughing and connecting! And that’s the inspiration behind today’s post, which is all about how we easily prep and arm ourselves with home decor that sets our kitchen up for hosting success, starting with the new Softsoap® Décor Collection®! 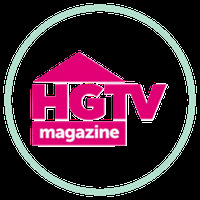 When I met Chris, I was a total novice at hosting guests in my home. I had my own brand of amateur hostess flair, sure, but that doesn’t mean I had any idea what I was doing or how to functionally care for a guests’ needs, so much of which I’ve realized starts in the kitchen. Once Chris moved in, we got married and we started hosting more and more guests including tons of family, it was a pretty steep learning curve for me as I went from single lady with her own narrow set of boundaries and selfish needs to anticipating the needs of guests of all kinds. And trust me when I say that I’m still learning! But with every guest visit or chance to entertain, I learn something new about what kind of decor pieces are useful to have on hand at the house that are equal parts stylish and functional, fun and fuss-free, and make it easier for me to prep for guests and be successful in the hosting department when I don’t have a lot of time to dedicate to it. 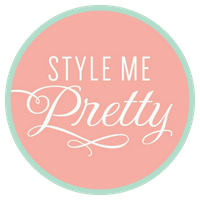 Seriously… who else always feels completely frenzied when they’re working, trying to get ready to host and everything in between? 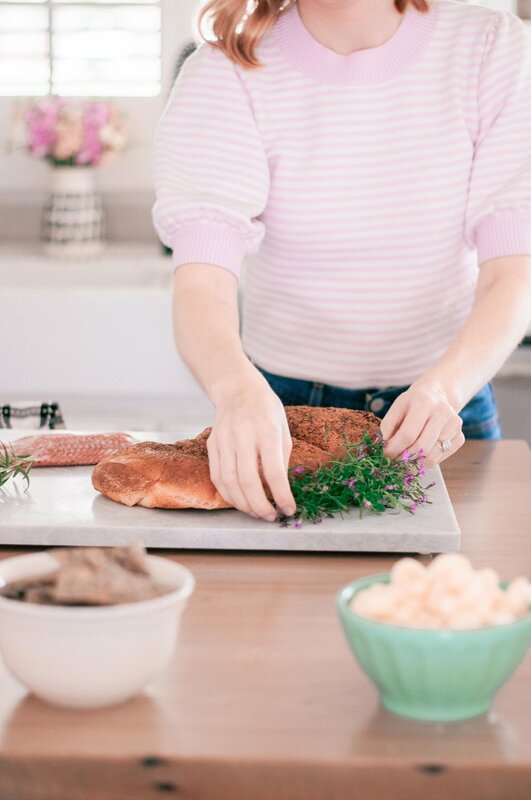 The two biggest lessons I’ve learned after hosting guests in our home pretty consistently over the last few years is that our kitchen is, to our delight, the hub of of gathering and entertaining when we host and that the most important thing we can do to prepare to host is to arm ourselves with the right kitchen decor that makes our lives easier by giving our guests more freedom. That translates to us temporarily bringing all of that essential kitchen decor out where guests can see it so they can easily identify and have access to the things they need, whenever they need them. So without further ado, we’re sharing our tried and true tips and tricks for getting your kitchen - your hosting hub - ready for guests! 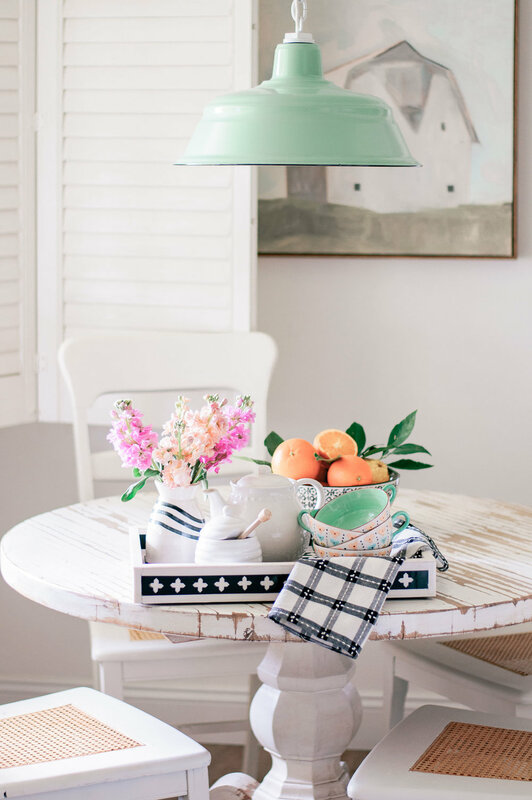 Included is a breakdown of all of the kitchen decor items that make our hosting lives fuss-free, so our guests never go without and we can enjoy time spent with our friends and family, sans stress! Having liquid hand soap in the kitchen right where guests can see and easily access it whenever they need it is one of the most important preparations I make before guests arrive, so it’s always the first to-do that I check off of my list. But I’ve always struggled to find liquid hand soap that I can quickly pick up at one of my neighborhood stores that isn’t an eye sore and smells really, really good… until now! The new Softsoap® Décor Collection®, which is conveniently available at my neighborhood Walmart, perfectly marries style and function to keep my guests’ hands fresh and clean when they need it and my sink looking oh-so-pretty with little effort on my part. 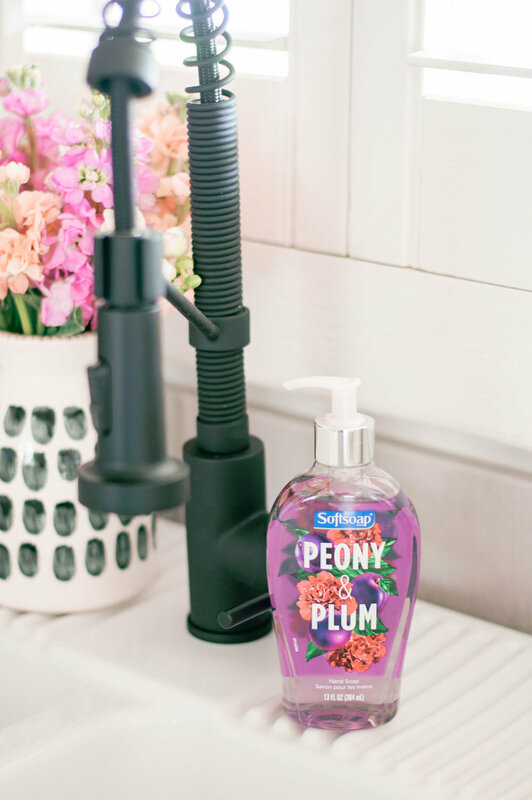 What’s more, it’s available in Softsoap® Wild Basil & Lime, Softsoap® Shea & Cocoa Butter and Softsoap® Peony & Plum, all of which smell absolutely heavenly! But it gets even better, friends. You can earn cash back when you shop by using this awesome Ibotta offer! Hover over the image above to start prepping your kitchen for guests with this stylish soap setup! 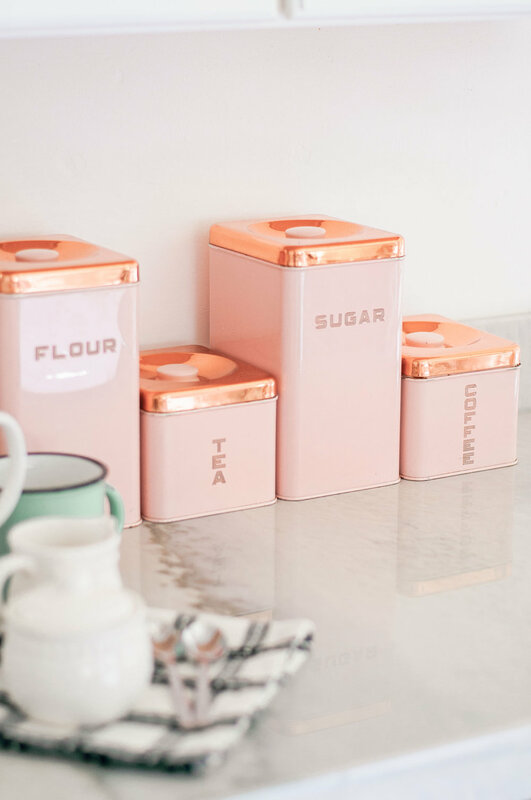 We absolutely love collecting vintage tins or canisters because they’re just so cool as a decor item, but over time we’ve found they’re pretty handy to have around when guests visit, too because guests know right where to go to find what they need, whether it’s coffee, tea, sugar or whatever else! These are the ultimate style-meets-function kitchen decor item, especially when you’re hosting. Serving boards of all shapes, sizes and materials are one of our most-used kitchen decor items when we host guests because you can display and serve all kinds of snacks or anything else on them in a neat and tidy way that promotes casual grazing or serving whenever your guests are ready for it. I love collecting these - they’re such a fun cozy-cottage-farmhouse decor item when displayed out in the open year-round, too if you don’t want to hide them away! Bowls are another item that perfectly marry style and function in our kitchen. We love displaying our fun and funky mix of bowls of all sizes in our kitchen cabinet for everyone to see, but they’re also another one of our most-used items when we host! 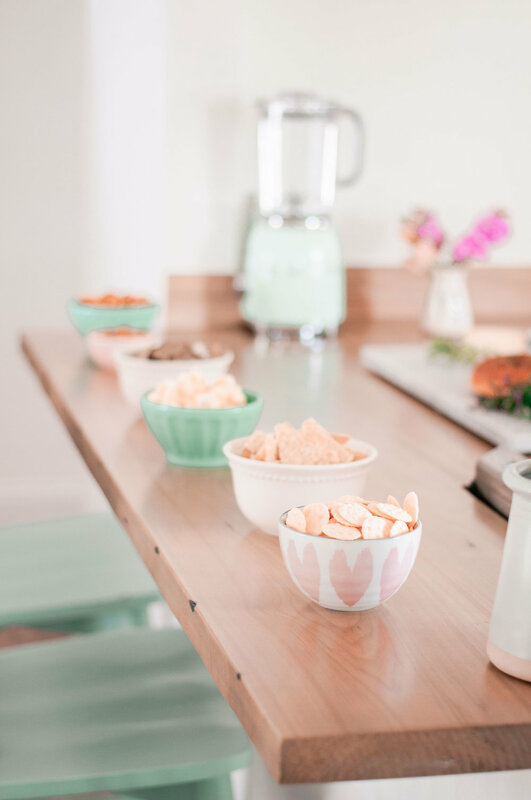 We always set a variety of bowl sizes out on the counter when we host and fill them with snacks for easy grazing so our guests never go hungry and don’t feel like they have to ask to be fed every time they need a bite. Every night we cover the bowls so any uneaten snacks stay fresh and uncover them again the next day. 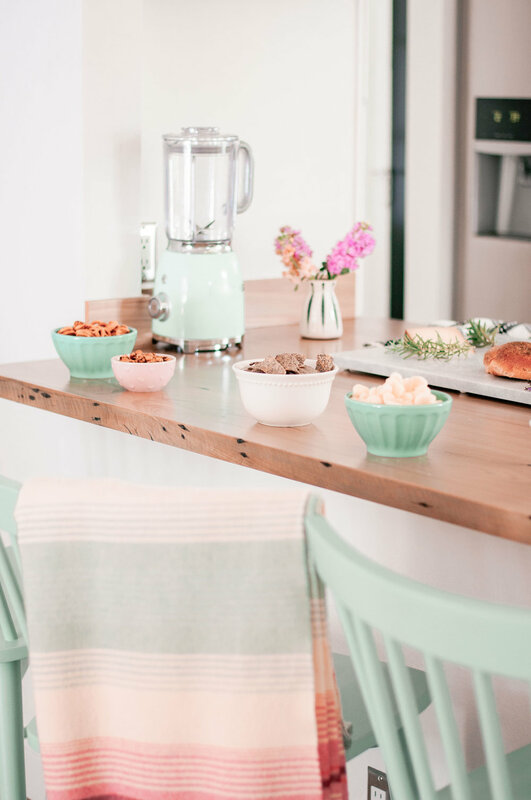 Collecting fun bowls in your own personal home decor style that you can display is also such an easy and affordable way to spice up your kitchen decor in general! One thing I’ve learned the hard way is that guests need easy access to water or refreshments of all kinds, and they need to be able to serve themselves when they’re thirsty and you’re not around. Over time we’ve collected all kinds of drinkware that would serve whatever drink needs our guests might have, and now when we host we set all of the options out on the counter throughout their stay so they can grab what they need and fill up with whatever they like! Another thing every guest will need at some point throughout their visit when they’re hanging around the kitchen? Flatware and napkins! Which is why we always love using a pretty flatware caddy or something similar that will work just as well for this purpose, like a low crock like we did here. I love having these around the kitchen in general, mostly because you can have so much fun with style on this one. It’s so easy to throw the flatware and napkin rolls in your caddy or crock before your guests arrive, and they’ll have everything they need without saying a word. This is one of my personal favorites! We love having a pretty cake stand in our kitchen all year round because it’s just such a fun, vintage-inspired decor item, but when we host it becomes another one of those really functional pieces that helps guests help themselves with minimal effort on your part. We love using it as a beautiful way to not only keep morning pastries and nighttime desserts fresh, but to display them so guests can see and help themselves to a snack if you’re not around - i.e. when you’re catching up on winks. I’ll admit I’m a bit blanket obsessed, but that’s because the texture and softness just promotes coziness (and is a great way to add color to a space), and they’re even more functional and inviting when guests visit! I think a lot of people don’t think of utilizing blankets in a kitchen space, but when we host we love having soft, cozy throw blankets draped over our breakfast table chairs and our kitchen counter stools so guests can cozy up on chilly mornings or evenings. 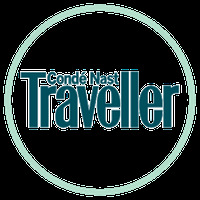 One thing I’ve learned is that every guest is completely unique in what temperature they’re comfortable living in during any given season. And in the winter when it’s cold outside I don’t want to blast my guests with excessive heat that makes them completely uncomfortable when they’re hanging out around the house, so having cozy blankets lying around that they can wrap themselves up in is the such a great way to keep everyone happy and in control of their own comfort. Easy and affordable! This is one that we didn’t even think about before we started hosting, but once we did, we quickly realized that the more seating in the kitchen, the better! We hate being sequestered in the kitchen and missing out on valuable time with our guests when we’re hosting, so by having more seating in and around the kitchen, we can prep or cook and gather with friends and family all at the same time, which is one of the things we love so much about our kitchen. We used to have backless stools at our kitchen counter, but recently replaced them with these more comfortable mint counter stools that have backs on them, and they’re so much easier for our guests to sit in for long periods of time when we’re all hanging out in the kitchen. Such a great upgrade! Like I said, every time we host and I prep our kitchen for entertaining I discover new tools that make the whole hosting thing a little bit easier for me to tackle, so I’m dying to hear your tips, tricks and must-have kitchen decor items that help keep your hosting life fuss free. Make sure you drop a comment in the comments section and give me all the inside info - sharing is caring! As mentioned I conveniently shop the entire Softsoap® Décor line at my neighborhood Walmart, located right in the body wash, bar soap and hand soap aisle!